The ESPO Award 2018 will go to the port authority that creates a good workplace environment for its current and future employees and demonstrates its investment in a diverse and inclusive environment, facilitating mutual respect, non-discrimination and personal development. ESPO: You are one of the four applicants of this year’s edition of the ESPO Award. Could you briefly describe your project and why it fits into this year’s specific theme, ‘Ports as a Good Work Environment for Everyone’? Firstly, let’s describe what we see as a good work environment. It’s the environment that makes employees feel good about coming to work and motivates doing the work, and this, every day. Guaranteeing that people feel happy and healthy, both mentally and physically, is one part of the good work environment. Therefore, Port of Tallinn decided to act towards the goal of improving the health of its employees and started organising a Health Week – a week consisting of seminars on different health topics, training lessons, sports events, and a Blood Donation Day. The aim of the Health Week is to raise awareness of health-related issues and help our employees live more healthy, balanced and happy lives and be healthy role models for their family and friends. Port of Tallinn’s Health Week addresses the low life expectancy of Estonians and the high level of depression in the country, among others. In addition to Health Week, that takes place once a year, Port of Tallinn supports healthy lifestyle all year round by, for example, covering the cost of different sports activities, offering medical examinations and balanced food. During the 2018 Health Week, we participated as one of the leading partners in the countrywide depression awareness campaign. Our employees could take a test assessing their level of depression and general results were published in the media. The news about the results started the countrywide campaign ‘Must Lumi’ that raised the topic of depression among Estonians more effectively than ever before. The main message of the campaign was: depression is an illness like any other and it’s acceptable to talk about it and seek help. People experiencing depression should be accepted and understood. Only 2.8% of the Estonian population voluntarily donates blood, which can be partly explained by the unfamiliarity of the population with the process. Our Blood Donation Days have resulted in making blood donation more popular among our employees, clients and partners and helped save about 700 lives. ESPO: Could you describe the original and innovative character of you project? Our systematicity and perseverance, as well as the diversity of the topics addressed during the Health Weeks make our project original and innovative. 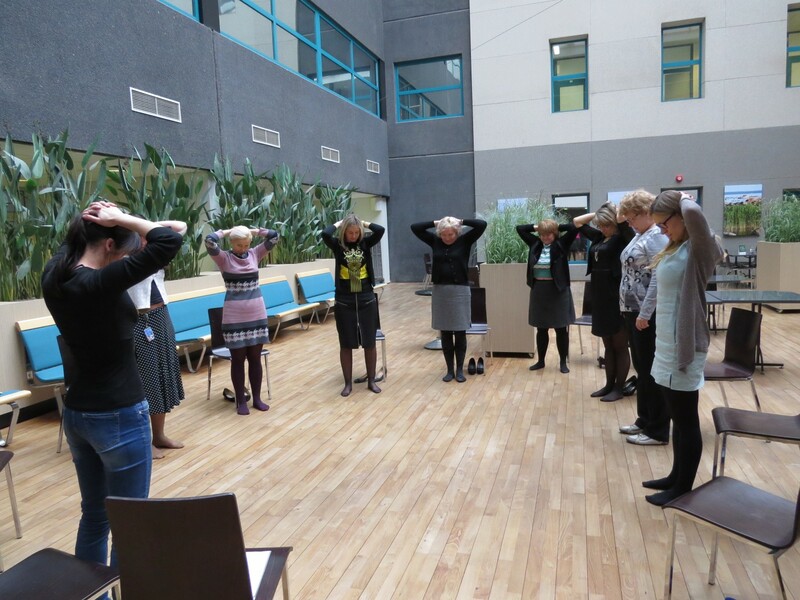 For example, we presented physiotherapy, Feng Shui, smile therapy, music therapy, osteopathy, mindfulness, and depression (a topic not usually addressed in the workplace in Estonia) during previous Health Weeks. Our goal is to offer diversity and the opportunity to choose between varied practices. Besides the Health Week, we also encourage staff to do regular and consistent sports activities. We work with Sport ID environment, which enables our employees to visit a huge variety of sports clubs and choose between a wide range of training options. ESPO: Why do you think your project deserves to win the ESPO Award 2018? Port of Tallinn’s Health Week stresses the importance and value of the employees and offers practical tools to support what an employer can do to make its work environment a good one for everyone. Our project also has a wider impact to the society, serving the goal of societal integration of ports. 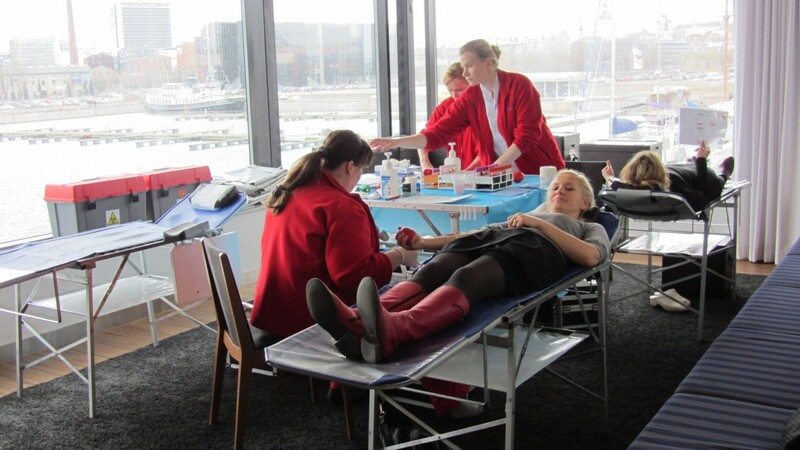 Port of Tallinn’s Blood Donation Days popularise doing good and helping others. Port of Tallinn employees together with clients and partners have already helped to save about 700 lives with their blood donations. With our Health Week project, we have helped to raise awareness on important topics in the Estonian society, like low life expectancy of Estonians and high level of depression in the country. ESPO: How would you make your experience in developing the project available to other ports? Other ports can easily start their own Health Week tradition. We would be happy to share our best practices about organising it and share its results about the benefits we have seen based on our 5-year experience.